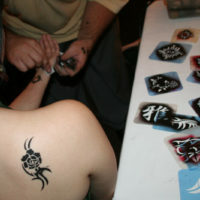 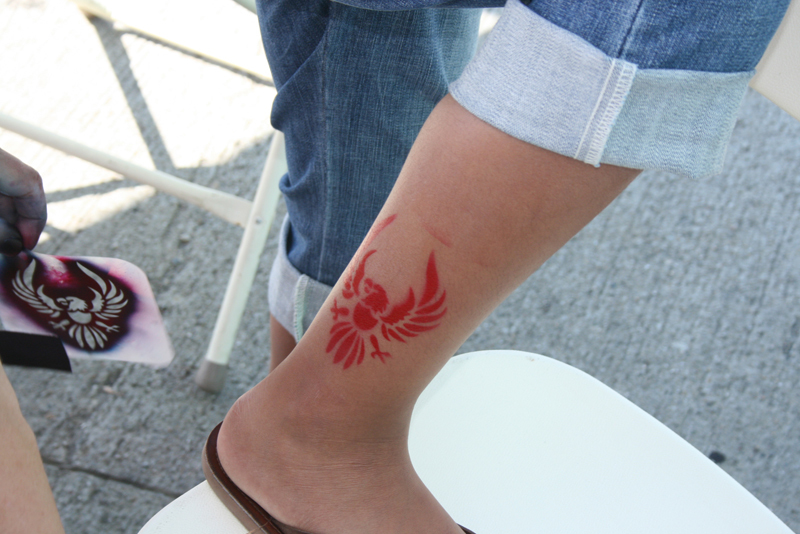 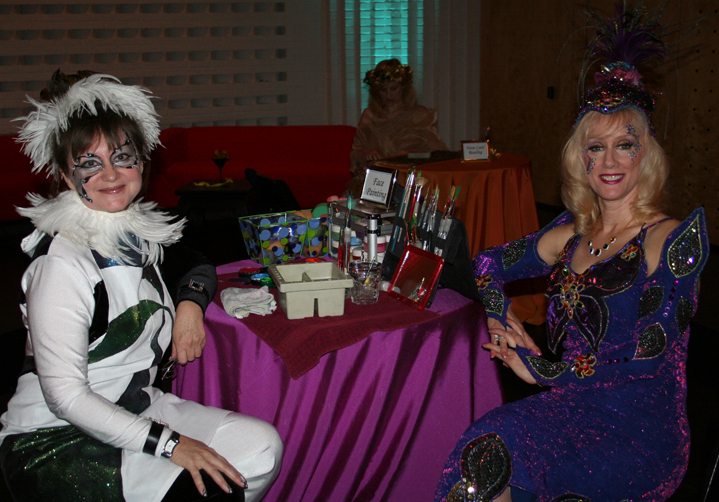 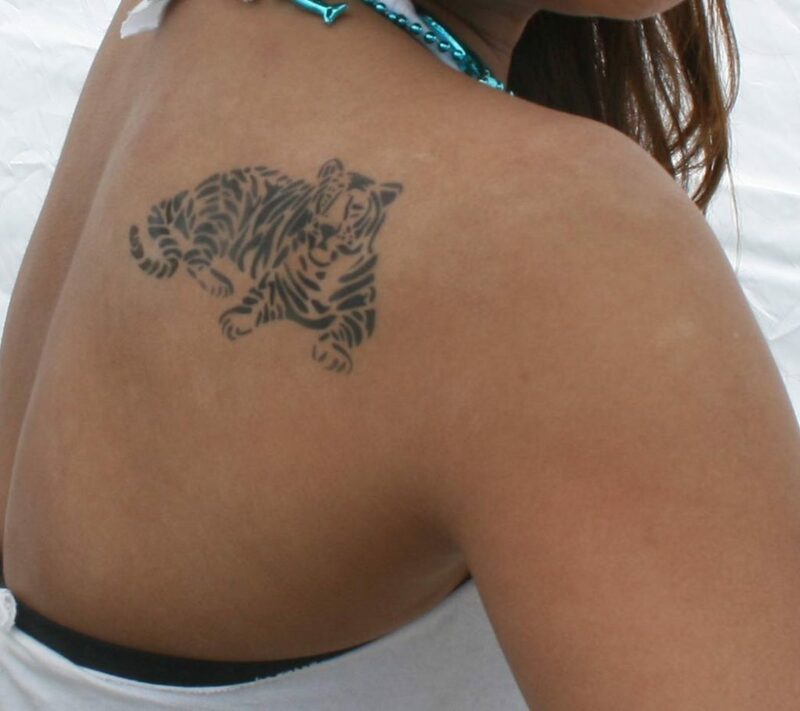 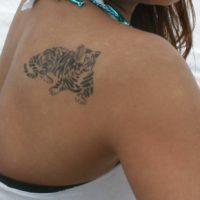 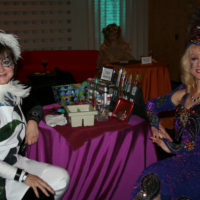 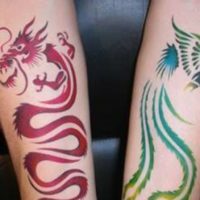 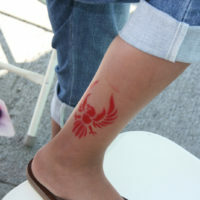 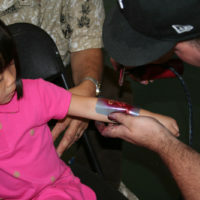 Airbrush artists create exciting temporary tattoos for your guests! 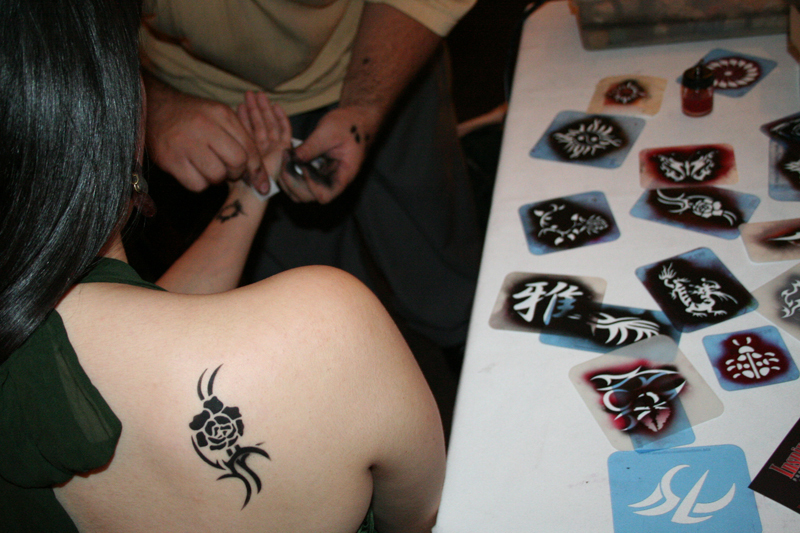 With hundreds of designs to choose from and custom logos, your guests are guaranteed the perfect temporary tattoo. 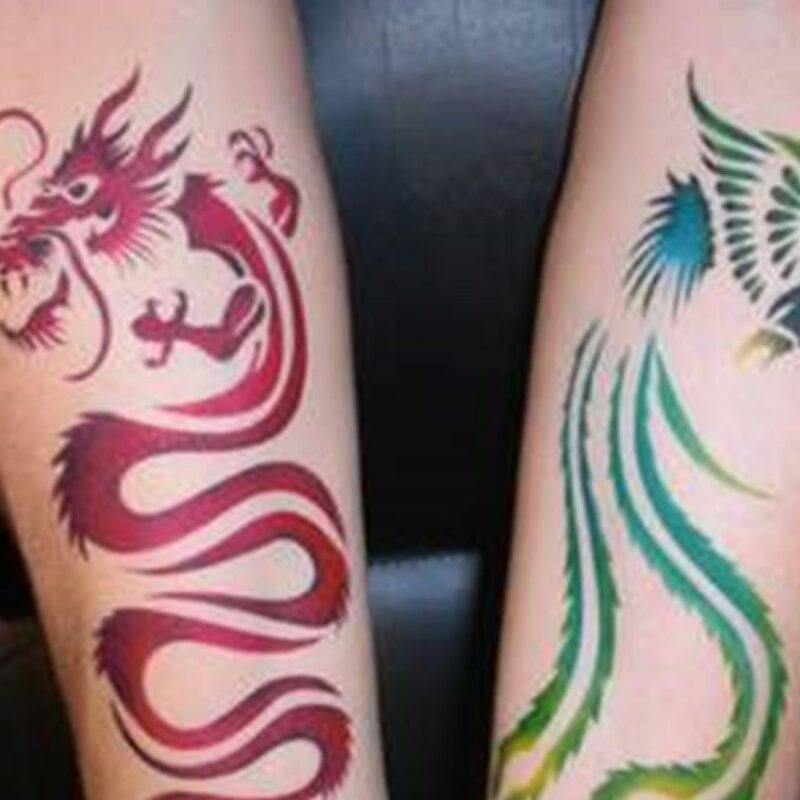 These long lasting and non toxic inks last up to 10 days with proper care! 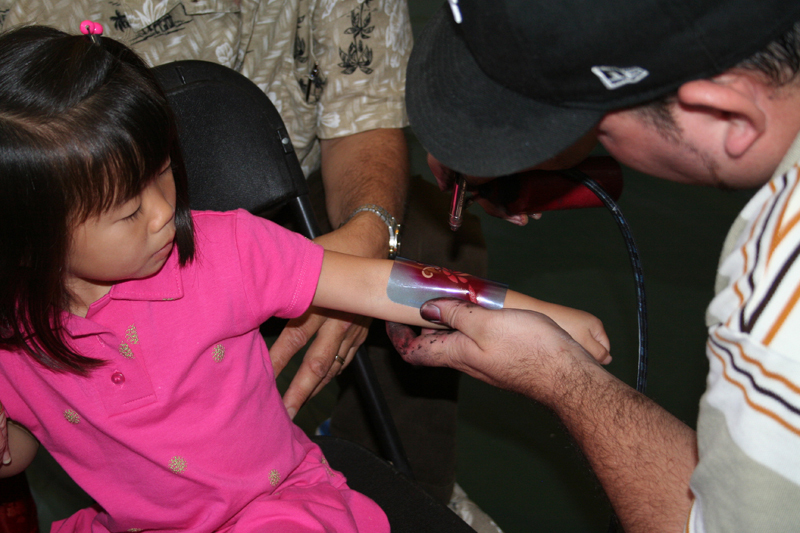 Whether you need custom stencils for driving tradeshow traffic to your booth or have a private party in the Bay Area, our experts will bring the fun to you!